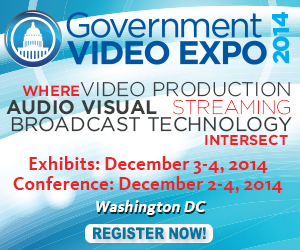 SCRI & GV Expo Partner Again | SCRI International, Inc.
SCRI continues its ling time strategic partnership with GV Expo for the upcoming 2014 GV Expo being held at the Walter E. Washington Convention Center in Washington DC, December 2-4, 2014. Join us and get hands on with the latest video gear in an exhibit hall featuring over 100 suppliers, dealers, distributors and service providers. This show offers great opportunities to network and learnfrom video industry professionals. REGISTER Today for your FREE Exhibit Hall Pass, just select GV Expo only. You can also save $50 off DC Post|Production conference by using the code GVSAV50.